Want to find the Best Wine Bars in Rome? Look no Further! You’re finally done with your study sessions in the “Eternal City” and now you feel like you deserve to find yourself going out in Rome, but where can you find the best wine bars in Rome? You’re in just the right place. We’ll be helping you find the best nightlife in Rome to start your night with a nice glass of red or white wine. So when you’re asking yourself what is there to do in Rome at night? This is the best page to look up, because in true Roman fashion, you should always have your aperitivo at one of the best wine bars in Rome. Also, if you’re asking yourself: what time is aperitivo in Rome? Usually in all of Italy it takes place from 18.00 to 22.00, so keep that in mind if you want to find a best wine bar affordable Rome. Nothing is better than good wine and delicious snacks for a cheap price. One of Italy’s first Wine Bars, not Enoteche, but wine bar. Truman started the revival of the themed wine aperitivo. In here you can find not only glasses of really good wine for 5€, but also enjoy a great selection of treats to eat with them. One of the best wine bars in Rome, Truman is a must to visit. Such a suggestive location to grab a glass, Ai Tre Scalini has an entrance right out of the Dolce Vita. If I had to choose where to find a place to be living in Rome, it would be right in front of this pearl, because just looking at it makes me warm, plus they serve great wine so I don’t see how anything could go wrong. In the area of Trastevere, you’ll find one the most sought out wine bars in Rome. VinAllegro doesn’t just bring out the best in wine selection, but also makes sure you leave the place with a full stomach. The aperitivo selection is huge, plus it’s in Trastevere; an area that could answer your “where should I stay in Rome for nightlife?” doubts. Rome has a great number of beautiful and suggestive spots, just like Mimì e Cocò. A rustic location near Piazza Navona. Here you’ll feel right at home as that is the main goal of the two owners, Andrea & Alessandro. You can enjoy a nice glass of wine on the street and order yourself a carbonara, what else is life really about? One of the oldest Enoteche in all of Italy, the Antica Enoteca has been serving patrons since 1720, so you know that this place has all the right cred if it’s been in the business for that long. 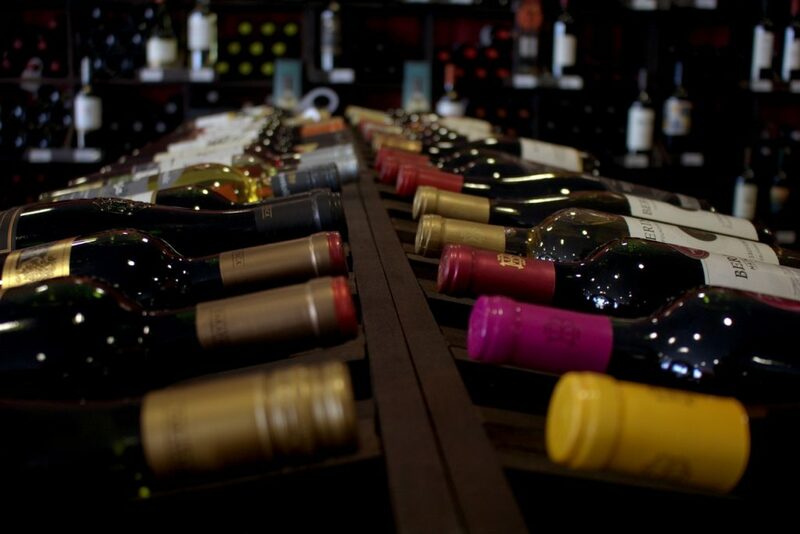 You’ll find a selection of wines that will make you never want to leave, and all of them accompanied by a great selection of cheese and meats. Probably the one of the best bars in Rome for students because of it’s full on atmosphere, at Il Goccetto you’ll have a blast seeing and enjoying some of the most typical sights of Roman lifestyle. So don’t worry if the patrons are rowdy, it’s all part of enjoying the best bars in Rome with a view on the local scene. For the best restaurants in Rome, go visit our page here: Restaurants in Rome.